Idaho’s largest university continues to grow, setting an enrollment record for the third successive year. Boise State University’s fall enrollment came in at 25,540, a 5.7 percent increase. “It is gratifying to know that more Idaho high school graduates continue to choose Boise State, and that students and their families from around the West and beyond see our campus as a safe, welcoming and engaging academic home,” Boise State interim President Martin Schimpf said in a news release Monday. In-state enrollment accounted for some of the increase, as Boise State added the largest first-year class in its history. 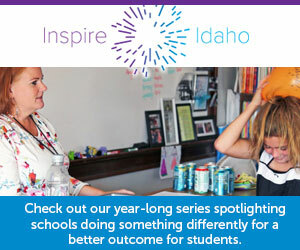 First-year enrollment increased by 3.4 percent overall — for Idaho students, the increase was 3.7 percent. But dual-credit enrollment accounted for the bulk of Boise State’s enrollment increase. This fall, 5,261 are enrolled in these dual-credit courses at Boise State, up 23 percent from a year ago, and up 83 percent over the past five years. Most of these courses are bankrolled by the state, which provides junior high and high school students an allowance to pay for dual-credit classes or other courses to provide a jumpstart toward college. Boise State’s enrollment increases defy economic trends — and enrollment patterns at the state’s other four-year universities. Enrollment increased in spite of a robust job market — which tends to drive down college enrollment, as high school graduates enter the work force and college “stopouts” stay on the job. Statewide, the September unemployment rate came in at 2.7 percent. Ada County’s jobless rate was even lower, at 2.1 percent. Fall enrollment at University of Idaho and Idaho State University dropped by 2.6 percent and 2 percent, respectively. While undergraduate enrollment increased by 1.6 percent, graduate enrollment increased by 4.1 percent. Boise State has more than 2,600 students pursuing either a master’s degree or a doctoral degree. The number of transfer students also increased, by 2.2 percent — a sign that students are making the transition from the College of Western Idaho and other two-year schools. About 80 percent of Boise State’s first-year students returned for their second year. Last year, Boise State received national recognition for its retention efforts.